Let your beauty and personality shine through. Feeling confident on the inside often is directly affected by what people see on the outside. Your smile can have a huge impact on your confidence and self-worth. Our caring dentist in Palm Beach Gardens wants you to love your smile and feel proud to show it off. Therefore, Dr. Rudnick offers a range of cosmetic dentistry services in Palm Beach Gardens designed to correct your smile flaws, whether minimal or extensive. Using his additional training and knowledge from the Las Vegas Institute, your dentist will artistically enhance your smile and leave you feeling great. He will make sure to discuss your personal goals and involve you in every step of the process. So why wait? Get your dream smile today with cosmetic dentistry in Palm Beach Gardens, North Palm Beach, Jupiter, and the surrounding areas. Porcelain veneers are an excellent cosmetic dentistry solution for a wide range of aesthetic problems you may have with your teeth such as color, gaps, chips, or misalignment. Porcelain veneers are ultra-thin shells of ceramic material, which are bonded to the front surfaces of your teeth. During your consultation, Dr. Rudnick will take your facial features into consideration, including your lip line, nose shape, eye and hair color, and face and tooth symmetry. Plus, he’ll use a shade of porcelain to match your natural teeth. Dental porcelain is very natural in translucence and reflective properties compared to natural tooth enamel. Once bonded to your teeth, your smile will look flawless and completely natural. The purpose of a porcelain crown is to restore a single damaged tooth back to quality strength and function. Crowns may be used to cover a tooth with severe decay, a crack or break, as the finishing touch to root canal therapy, or it may become your new tooth after the placement of a dental implant. Today’s porcelain crowns offer outstanding results when it comes to providing strength and the most tooth-like appearance. Our dental crowns are designed by our dental lab using 100% ceramic porcelain, which mimics the natural translucency and characteristics of natural teeth. After a porcelain crown has been carefully placed, your restoration will look as though dental work was never involved. With Invisalign® by certified Palm Beach Gardens dentist, Dr. Rudnick, you can have a straighter, healthier smile in little time and without the need for unsightly metal brackets. The clear Invisalign® system was created to introduce much-needed aesthetics and modern technology to the field of orthodontics. This system also allows its wearers to brush and floss as they normally would and enjoy their favorite foods because they can remove the aligners. Also, you can get a preview of what your new smile will look like too. 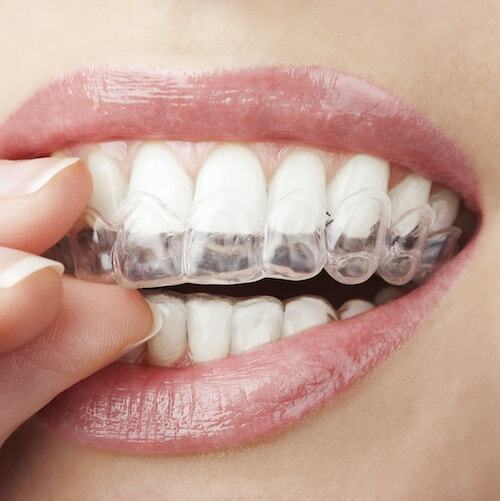 Invisalign® gently straightens teeth using custom-fit clear trays that fit perfectly over the teeth. The trays fit snugly and comfortably (created from impressions of your teeth), making them virtually unnoticeable to you or others. By wearing the trays, only removing them when needed for eating or hygiene, you can have a straighter, more perfect smile in around twelve months. As we age, it’s normal for teeth to become yellow or stained. This is due to the things we eat and the lifestyle choices we make. But with teeth whitening, you can brighten your smile by up to eight shades. Dr. Rudnick offers two techniques in teeth whitening to his Palm Beach Gardens guests. In-office whitening: With Zoom! custom whitening, a gel is applied to the teeth and activated using a special Zoom! light. In as little as an hour, you will have your brighter smile. 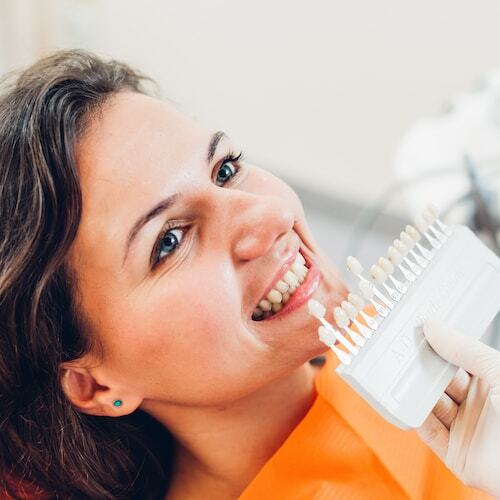 At-home whitening: A customized tray is designed to fit your teeth perfectly, and you’ll be provided with a whitening solution to place in the trays. You will see results within three weeks. A flawless smile could be yours. Dr. Rudnick matches the science of cosmetic dentistry with an artistic flair to bring you the magic of smile design. A smile makeover is performed with one or more cosmetic dentistry procedures that provide you with a beautiful new smile, including whitening, crowns, and veneers. No smile imperfections are too severe to be corrected through smile design. Chips and cracks, spaces and gaps, and misshapen and misaligned teeth are just a few of the common blemishes that can be resolved. Palm Beach patients all around fall in love with their smile again with this cosmetic dentistry procedure. 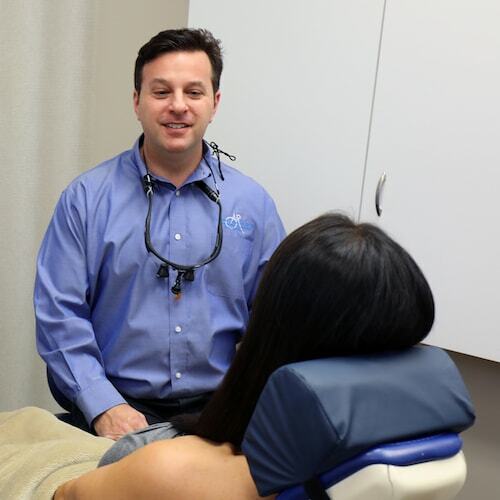 On your first visit, Dr. Rudnick will discuss your individual needs and create a preview of your end result using advanced digital technologies. When your preview meets your expectations, a wax mock-up will be created to allow you to see a 3-D visualization of the changes that can be made. If you approve of your new smile design plan, temporaries will be created by our dental lab, so you can test drive your smile before any permanent treatments are completed. Rest assured, we keep in mind each smile makeover is as unique as the individual receiving it. Experience facial renewal with Botox and Juvederm. Many patients would like to remove horizontal forehead lines, crow’s feet, and fine lines around the lips to compliment their new smile. Others feel the benefits of Botox and Juvederm as a way to relieve comfort from TMJ disorders. Whatever your reason, the results are magnificent, natural-looking, and photo ready. Over time the nerves controlling your facial muscles can become permanently contracted; Botox is injected to relax the muscles and eliminate wrinkles. Juvederm is used to replenish lost volume in areas where skin wrinkling occurs. Both procedures require a fast injection with instant results. 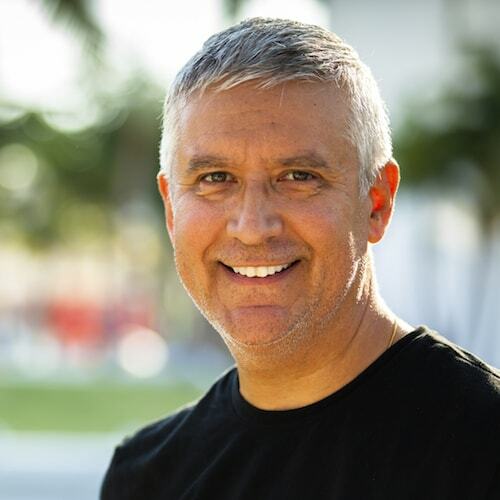 As an expert in Palm Beach Gardens cosmetic dentistry, Dr. Rudnick is trained in Facial Rejuvenation treatments by the American Academy of Facial Esthetics. His experience and knowledge allow him to recommend the best treatment options for your needs and goals.